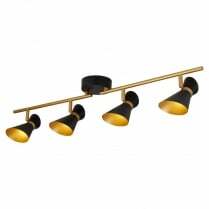 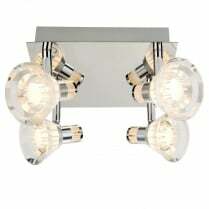 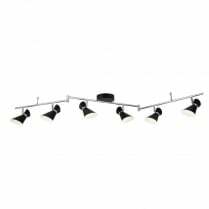 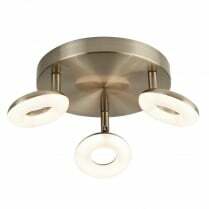 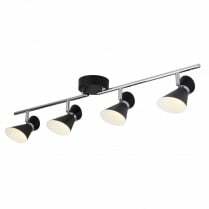 The Mondes from Searchlight is a four light spotlight cluster finished in satin steel with frosted glass shades. 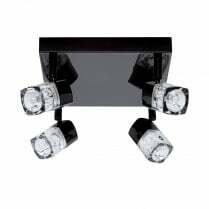 The Mondes is supplied with 4 40W G9 halogen bulbs and is compatible with LED replacements. 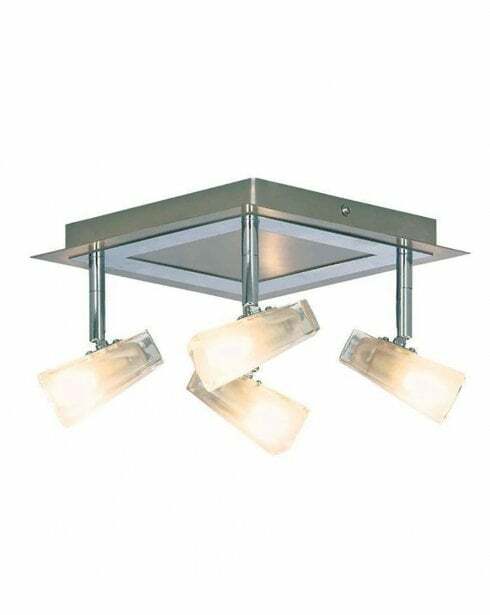 The 3074SS has a height of 11cm and is 35cm square.